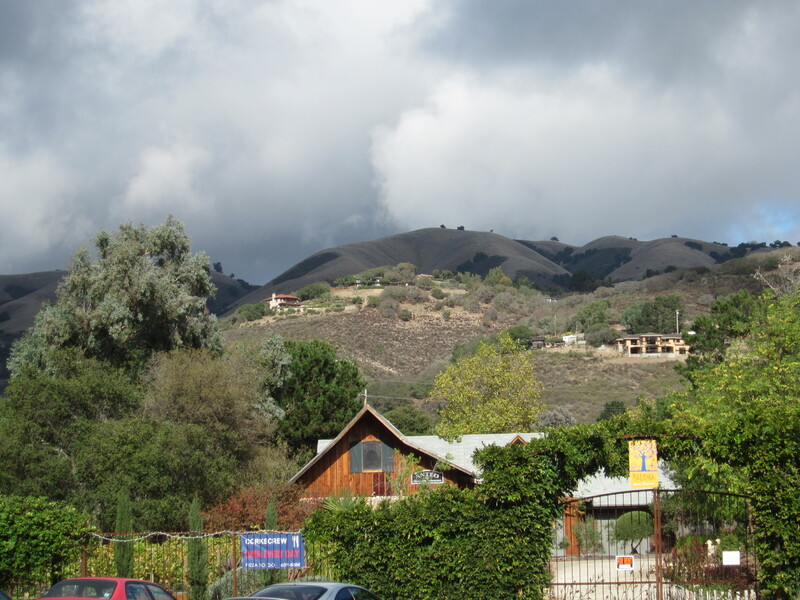 Much less known than Napa and Sonoma Valley is Monterey County’s wine region, Carmel Valley. 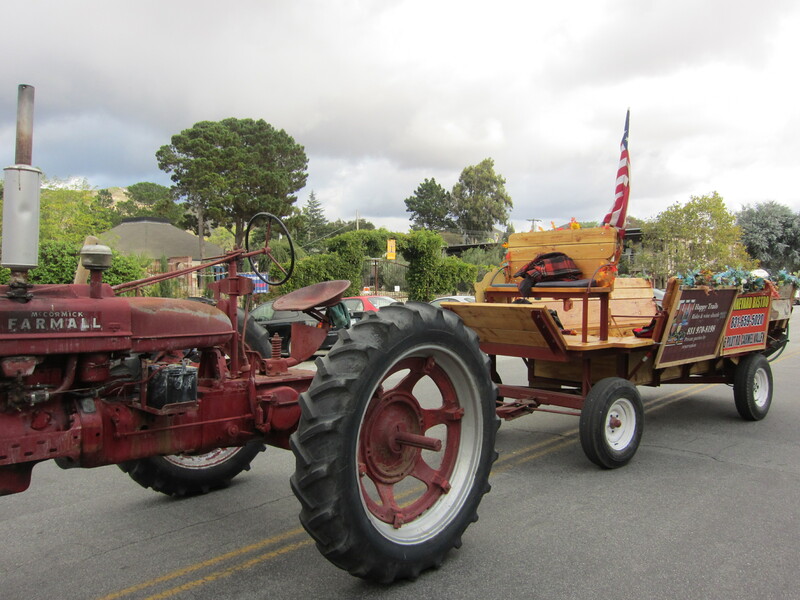 Located east of Monterey and Carmel, inland from the coast, many people pass by the area not even aware that there’s a pleasant little town where they can spend a few hours strolling around, wine tasting and eating delicious food. The biggest reason why the area hasn’t exploded in popularity is probably its geography. Many of the wineries are located deep into the valley, which is not conducive to car traffic. As one of the winery’s representative told us, the locals are used to driving fast and would have no patience for slow-driving tourists trying to navigate the high and sometimes winding roads. There’s also the big concern of safety. So while the mountain peaks make for an enchanting image, it means that most of the wineries (notable exception being Chateau Julien) are not open for visitors. So you won’t have the experience of tasting wines in grand and luxurious wineries with caves, sparkling fountains, and lush gardens. This doesn’t mean that it’s any less fun wine tasting in the area. 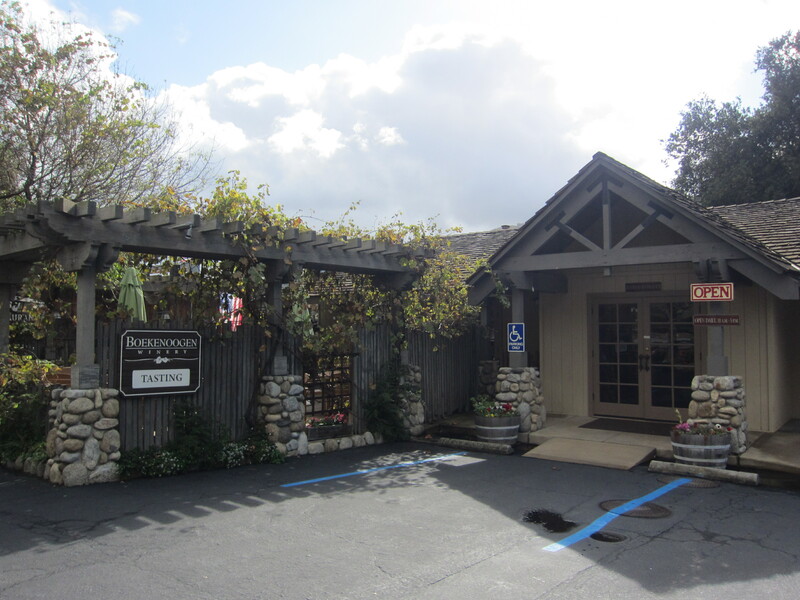 Many of the wineries have set up tasting rooms near Carmel Valley Village, which is easily reached on Carmel Valley Road from Highway 1. A benefit to the area’s compactness is that you can leave the car in a parking lot and walk from tasting room to tasting room. We, Hubby and I and our friends over at The WineTastic Weekend, spent the previous day at the Big Sur Food and Wine Festival. 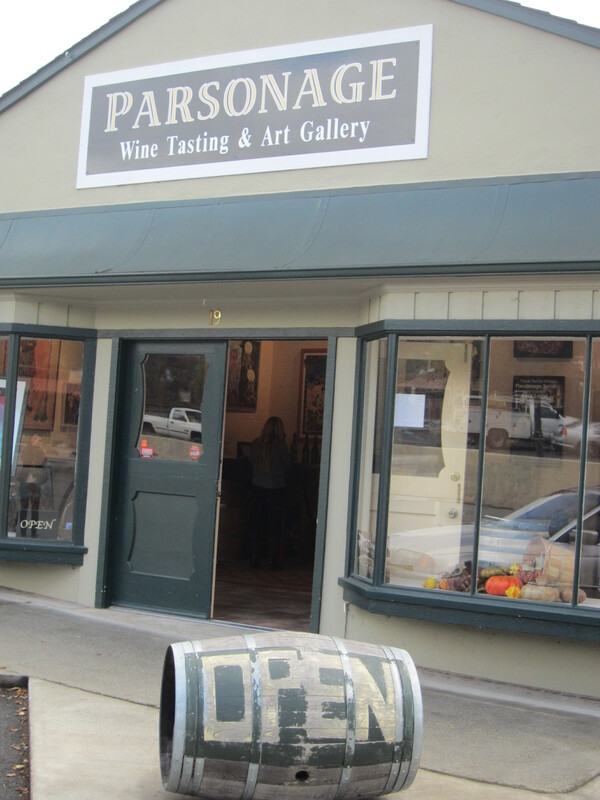 Armed with some complimentary tasting cards from the festival and a little knowledge of where they wanted to go, we first stopped at Parsonage. Now let me just say that I don’t know much about wine. I simply like drinking it LOL. So unfortunately, I’m not capable of writing a discussion of which places had the best wines because of their wines’ subtlety, complexity, tannins, notes of this, notes of that, etc. I’ll simply talk about the experience of going there. First stop was Parsonage. While it’s small, composed of only one small room, it’s chock-full of personality, thanks to the walls being plastered with interesting art (quirky and colorful) and quilt that you can buy. 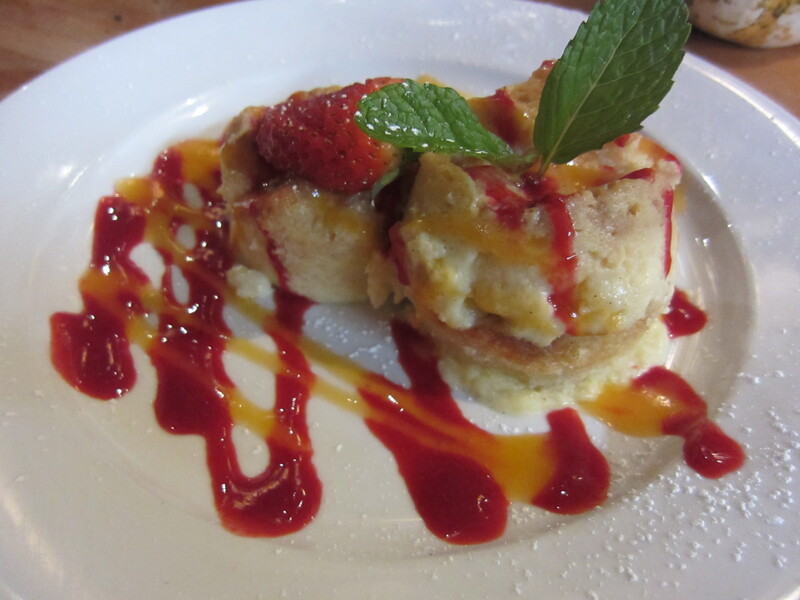 The server was very knowledgeable, at least she sounded like she was, and pleasant to us. A few doors down is Joyce. Joyce is decidedly modern and hip, clearing catering to the younger crowd. At the entrance is a TV screen, which was playing Sideways during our time there. 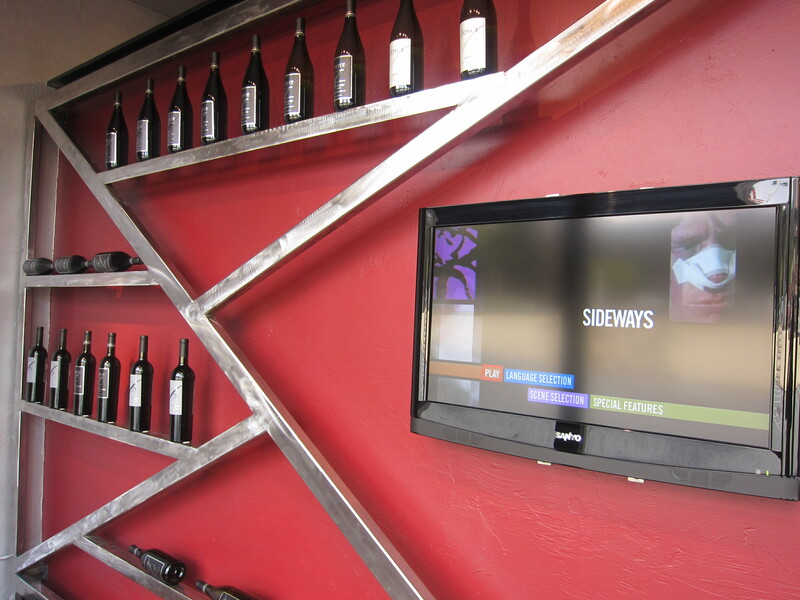 Past that are ample seating areas to sit down and enjoy your wine. The server was a very young man close to our age, which was nice to have. One of the Joyce brothers that we met the day before at the Big Sur Food and Wine Festival said that famed writer James Joyce is in their family tree. Who knows if that’s true…. Across the street is Boekenoogen. Funny name huh? 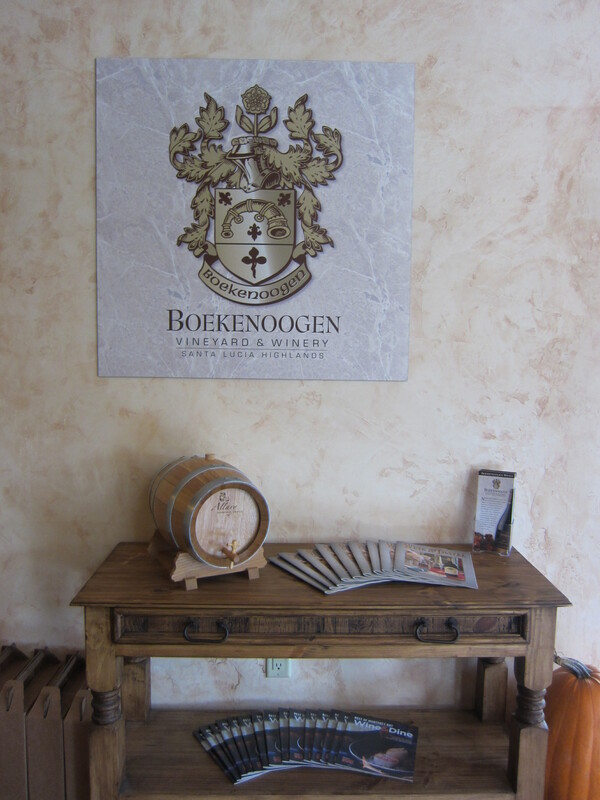 It’s the Dutch last name of the winery’s founding family, whose members still runs the place and can often be seen serving guests in the winery. On every bottle is their family crest,which dates back to the 1200’s. You can see a blow up of it below. Hubby of course, with his love of all things Dutch, just had to come here and buy a bottle of their chardonnay. 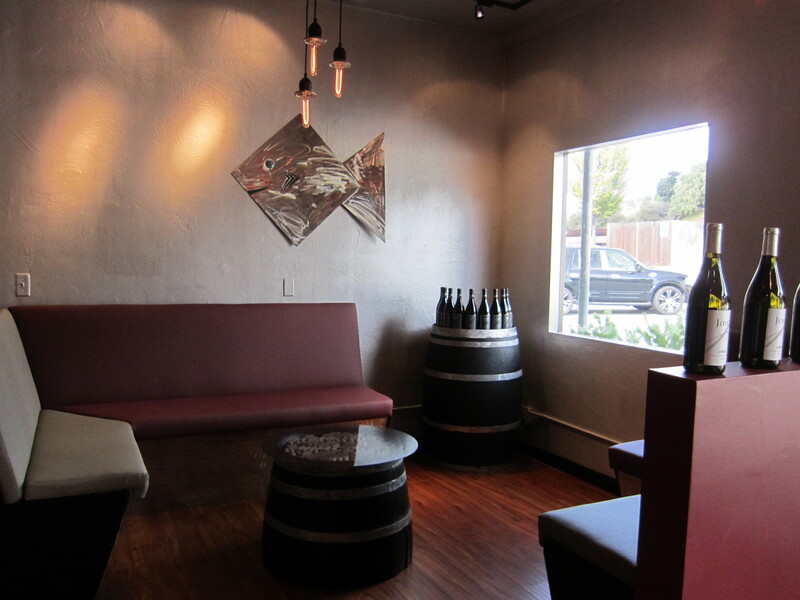 The tasting room has several tables inside and a lovely patio outside. Nearby is Joullian, housed in a Burgundy-inspired stone building. I loved their muscat but at $32 for a small bottle it was beyond my budget. 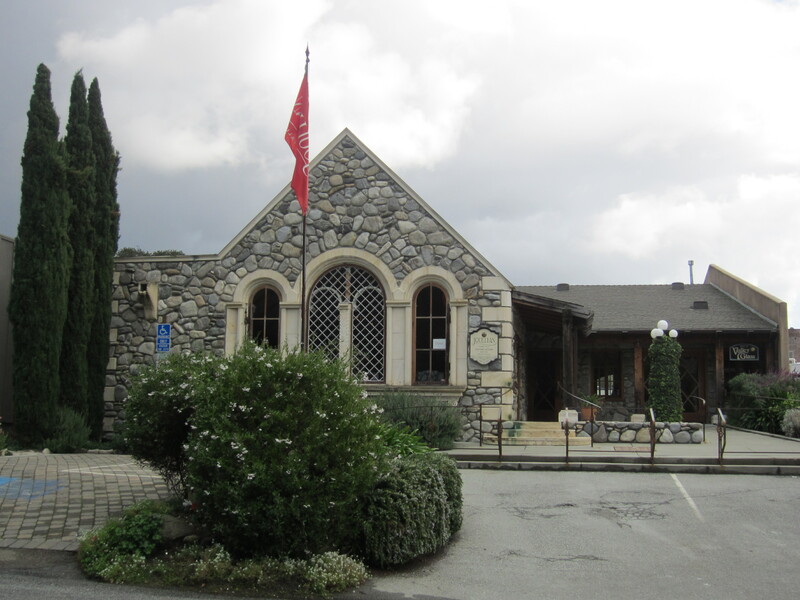 Besides their wines, their tasting room is stoked with gourmet condiments, snacks, and wine books typically found in a winery store. 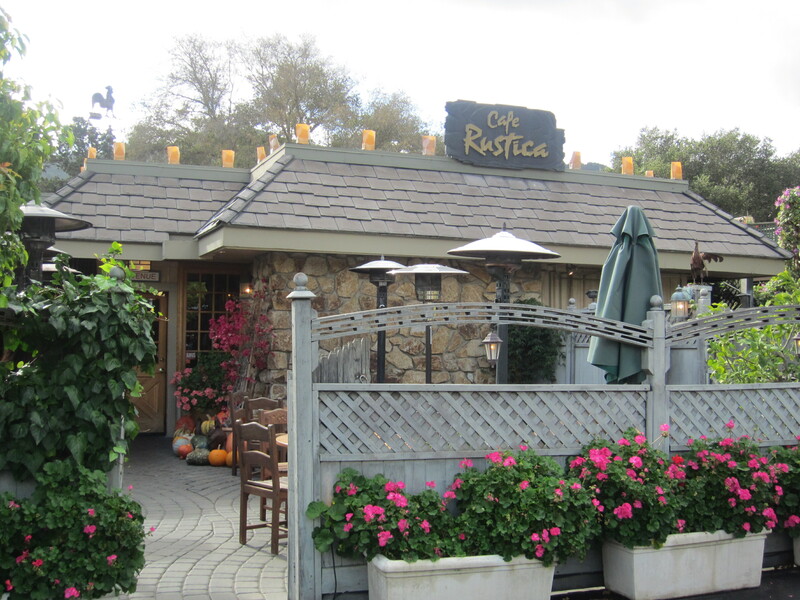 Hungry, we went to Cafe Rustica, recommended by more than one of the servers, for lunch. 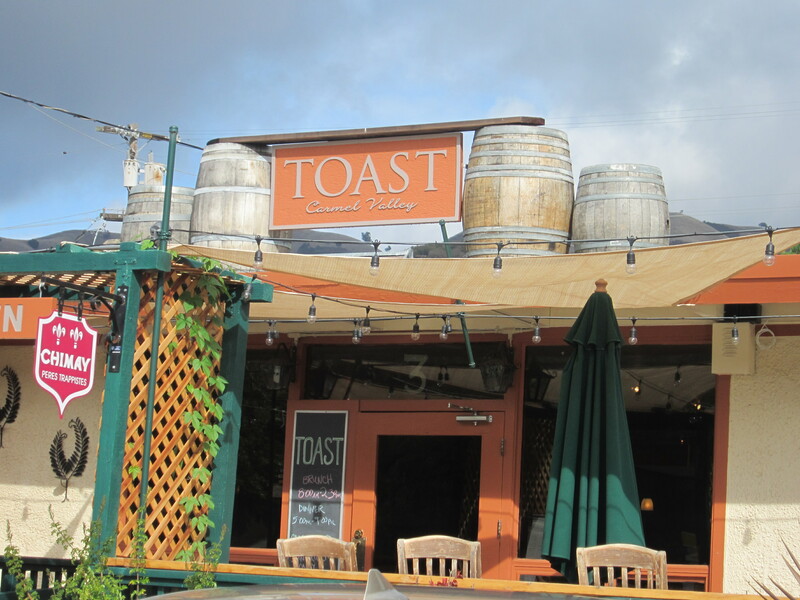 Toast was a contender; we’ll have to go there next time we visit the area again. 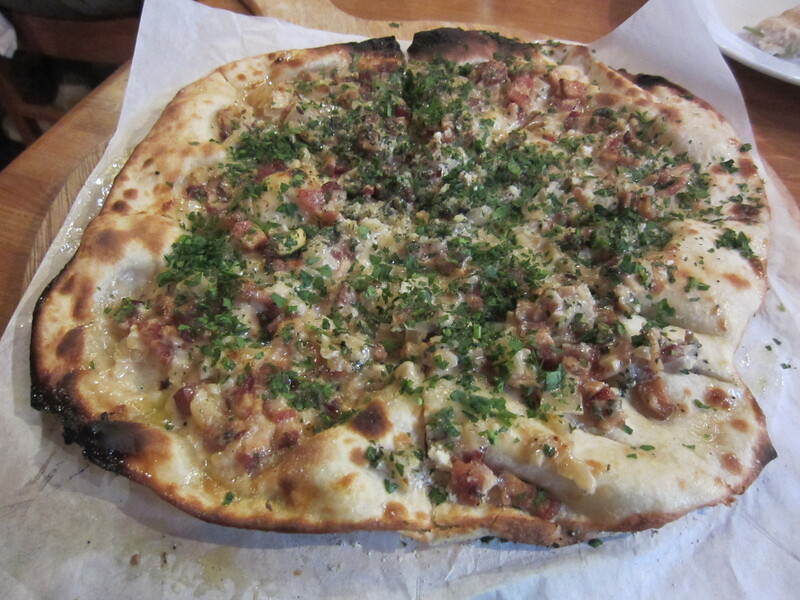 Cafe Rustica’s thin crust, wood fired pizzas are amazing, as are their fresh desserts. I still need to check this area out – thanks for sharing!